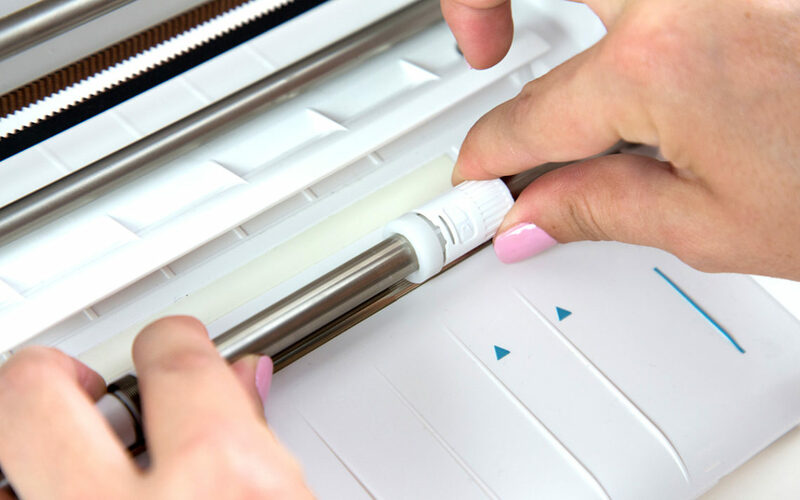 The Silhouette CAMEO® is the ultimate DIY machine. It uses a blade to cut over 100 materials, including paper, cardstock, vinyl, and fabric up to 12 in. wide. 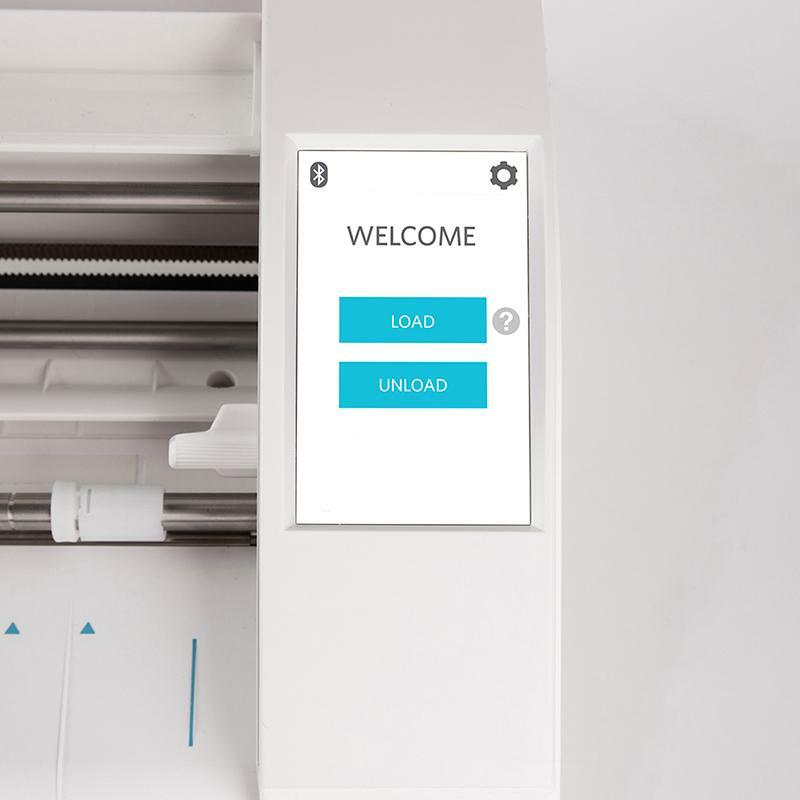 The CAMEO has the ability to register and cut printed materials and is PixScan™ compatible. What does this mean for you? It is our machine that has the largest cutting space and is most versatile in the materials it can cut. 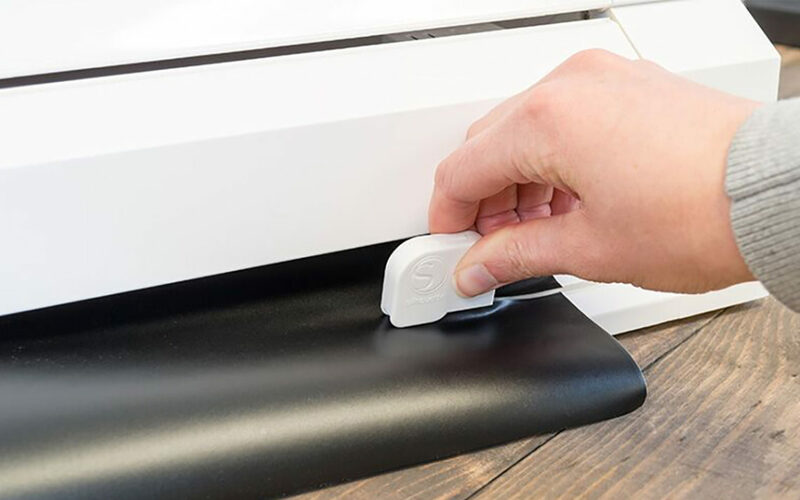 The Silhouette CAMEO® is the ultimate DIY machine. It uses a small blade to cut over 100 materials, including paper, cardstock, vinyl, and fabric up to 12 inches wide. The Cameo has the ability to register and cut printed materials and is PixScan™ compatible. What does this mean for you? It is our machine that has the largest cutting space and is most versatile in the materials it can cut. 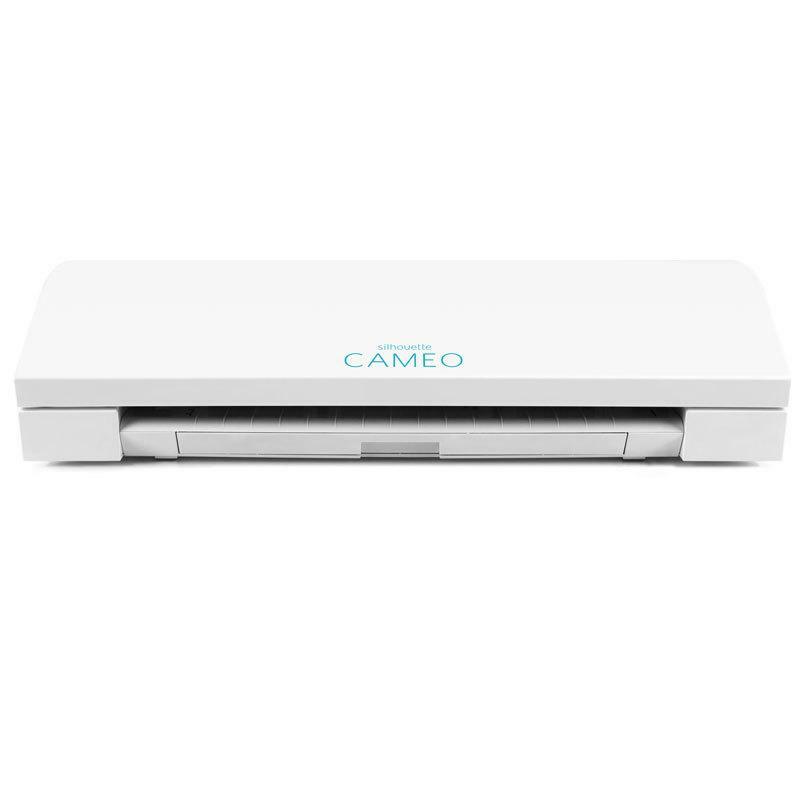 The Silhouette CAMEO® 3 was released in August 2016. It has all of the same capabilities as the previous versions along with some added features. This Cameo features a dual carriage so you can use two tools at once, and it features Bluetooth® technology. 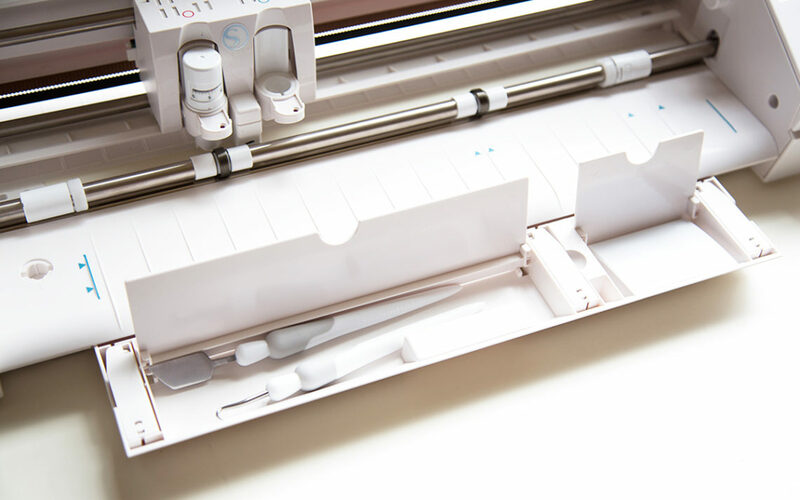 To top it all off, the Cameo 3 is the only machine compatible with Silhouette’s AutoBlade, a self-adjusting blade. 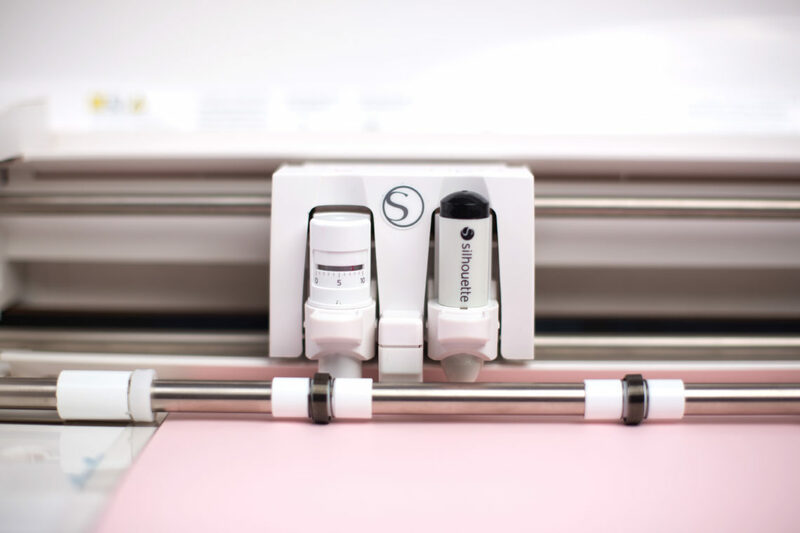 The Silhouette CAMEO® is your standard in electronic cutting. Like a home printer, it plugs into your PC or Mac® and a power outlet. Use Silhouette Studio® software on your computer to design and create projects to send to your Cameo. And now that the Cameo has a dual carriage, you can do more than ever. The Cameo 3 has multiple storage compartments. With your lid open, there are places to keep extra blades on the left. On the top rack, you can keep blades, tools, or pens, and the pull-out drawer at the bottom opens for more storage. 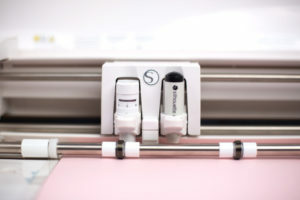 By adjusting the white rollers on the main roller shaft, the Silhouette CAMEO® can cut the following media sizes: A4, letter, 12”, 13” (12 in. material on the cutting mat). The spring rollers have been designed for a strong yet gentle way to hold project materials in place. With the Cameo, you can save from your computer to a USB device and then cut directly from your Silhouette without needing a computer. If you are using a long piece of media, the crosscutter can be very helpful. It is basically a paper-cutter on the back of your machine. 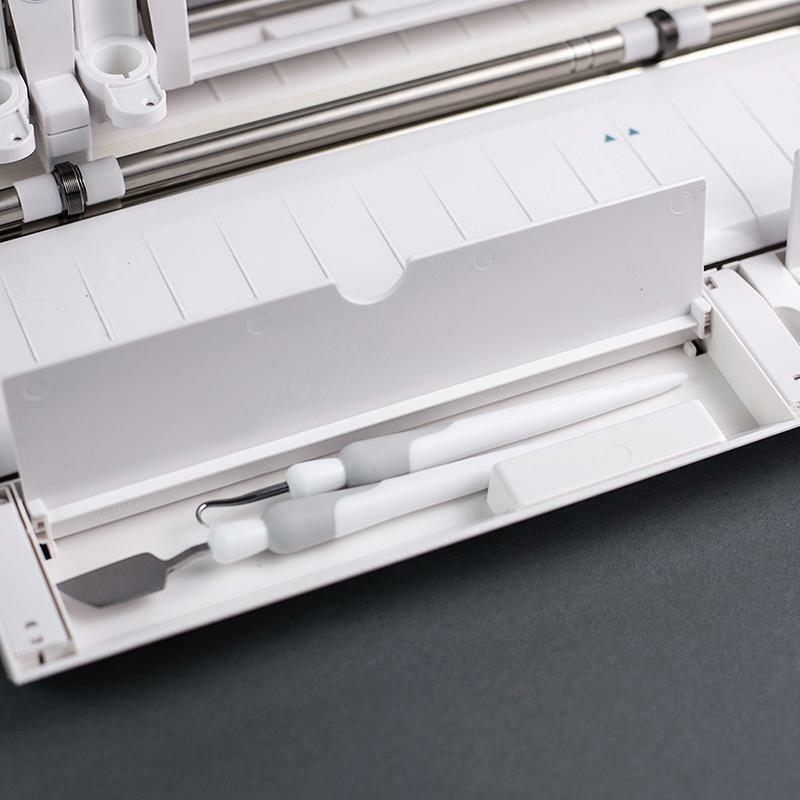 The crosscutter lets you separate your finished cut job from the remaining media in one quick stroke. With the crosscutter track attached directly to the back, you will get a perfectly straight edge every time. Then, when you use the remaining media for a different project, your Cameo will load the nice, even edge very easily. If you use rolls of vinyl, the crosscutter will be very helpful. Cameo 3 features a dual carriage. Are you like us and are a little bit EXCITED about the project possibilities? The tools are marked with little red circle on the left and a blue circle on the right. Insert your tools (such as an AutoBlade and a sketch pen) into the corresponding tool holders assigned in your Send panel. Watch two different tools work in one cut job! Cameo 3 is Bluetooth® compatible and allows wireless communication. The Silhouette CAMEO® “Bluetooth® Edition” includes a pre-installed adapter. For all other Cameo editions, Bluetooth® is enabled, but you will need to install a Bluetooth® adapter. The Bluetooth® adapter resides in the bottom of the machine in a compartment accessible with a basic screwdriver. Using Bluetooth® technology, your Cameo can receive cut jobs by devices other than your computer. This also means your Cameo will be able to receive cut jobs without being attached to your computer. Use Bluetooth® to get some of those pesky cords out of the way! The Cameo 3 can stipple using a marker or felt-tip pen. Stippling is the process of making a design using a series of dots. You can turn any design from the Silhouette Design Store or any photo into a stipple design. 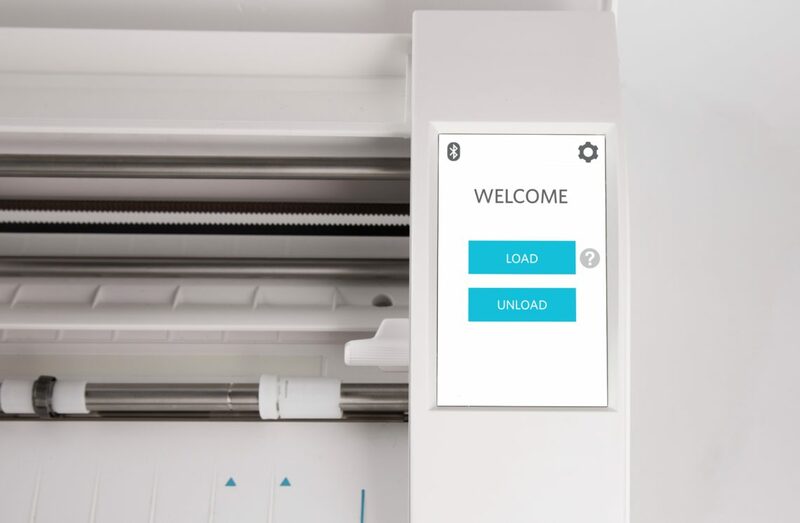 The Cameo 3 is able to read barcodes produced in the Registration Marks panel of the Silhouette Studio® software. Accessed through Business Edition, you can use the barcode scanning feature to print a barcode and registration marks onto Print & Cut pages. 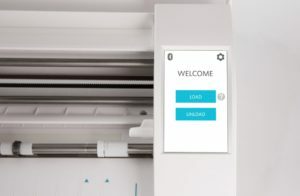 Then, load your printed page into your Cameo 3 and the optic scanner will read the barcode and access the file, cutting your design without needing the file open on your screen.